Holy crap that is awesome. Your friend has real talent. 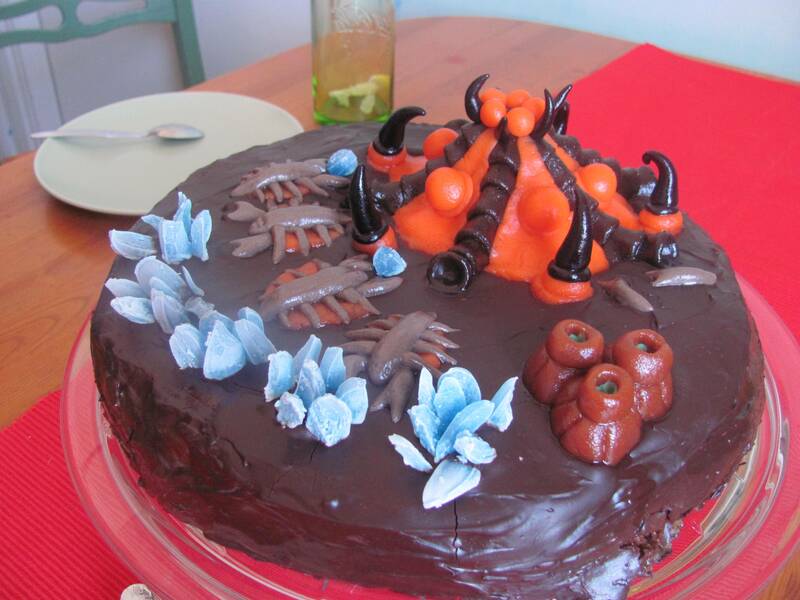 I could imagine some Starcraft fans paying good money for a cake like that! Thanks for sharing the pic with us, and happy birthday to you! Look at that cute little drone at the bottom. i wanna buy one! how much?? omg i love the vespene geyser! So much detail, lol. How did he even make those chocolate scales on the hatchery? I'm hungry for chocolate cake now. I saw your post of this on Reddit! You have a good friend. but the more zerg bases the better! WOW Is there some sort of Starcraft Bakery I am unaware of?? Those look amazing, ALSO they are brood war cakes not sc2 cakes so they must be EVEN BETTER! Thats so sick!!! I want one! !